We have re-done the old “clue trail” activity. New maps, new clues. The GREAT Forest Lodge Clue trail is now ready for your school or group to slot into their program. Students are put into teams, each team is given a map of the property and a sheet with questions. Each question corresponds to a marked area on the map. Teams must go to that spot to find the answer to the clue. This activity is great fun and suits all ages. 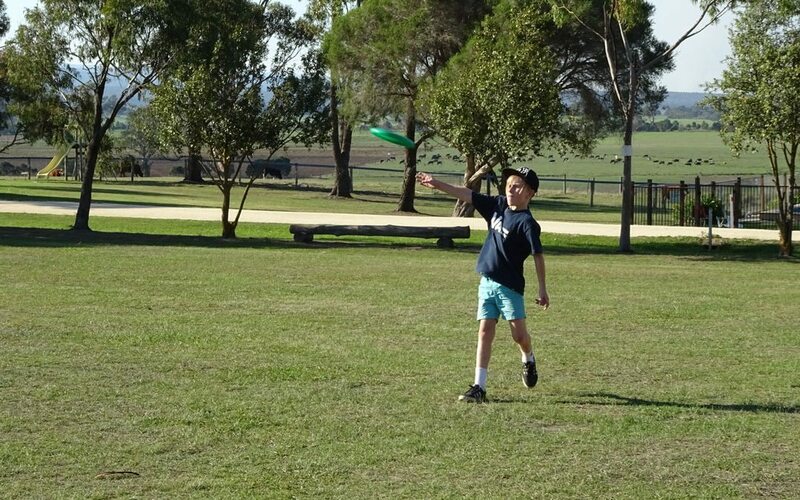 Our new activity Frisbee Golf is now up and running. The course runs around our sports oval. A great activity for large groups to test their frisbee skills.